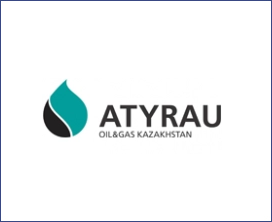 " Global Oil & Gas Atyrau is a regional event of the global industry! This event is unique and has no analogues in Atyrau region, in the region which is key and strategically important in the scale of oil and gas industry and national economy in general. - Tengiz field is located in Atyrau region of Kazakhstan, in 350 km to the southeast from Atyrau. This is the deepest oil field in the world - supergiant upper oil-bearing collector of which lies down at a depth about 4,000 meters or 13,000 feet..
Atyrau city - Oil & Gas capital of Kazakhstan, a member of the World Energy Cities Partnership (WECP), which includes 18 Oil Capitals of the countries. Capital investments in 2015 amounted to 1,4 trillion tenge, including external investments of 847 billion tenge.